Flashbacks are always fun to look back on. This was a colorful styled shoot with Sara Bishop Photography and Your Jubilee shot at the Mesa Arts Center. Love is in the air. I love this time of year. Spreading JOY, LOVE and GOOD. Doing small acts of kindness continue to spread only positive vibes. These high school seniors ROCKED this Valentine’s inspired shoot. These girls have developed friendship and respect for other girls from high schools all over the valley. It was so cool to see how everyone opened up and had a great time! Then Taylor’s boyfriend joined in for an extra special LOVE pic! How cute are these shots? After meeting Gillian on the NYE shoot, I was asked to do her makeup and hair for her senior pictures. Of course I was excited to work with Gillian again! Her pictures turned out beautiful. I feel like each image captured her personality and style. You are going to do great things, Gillian! 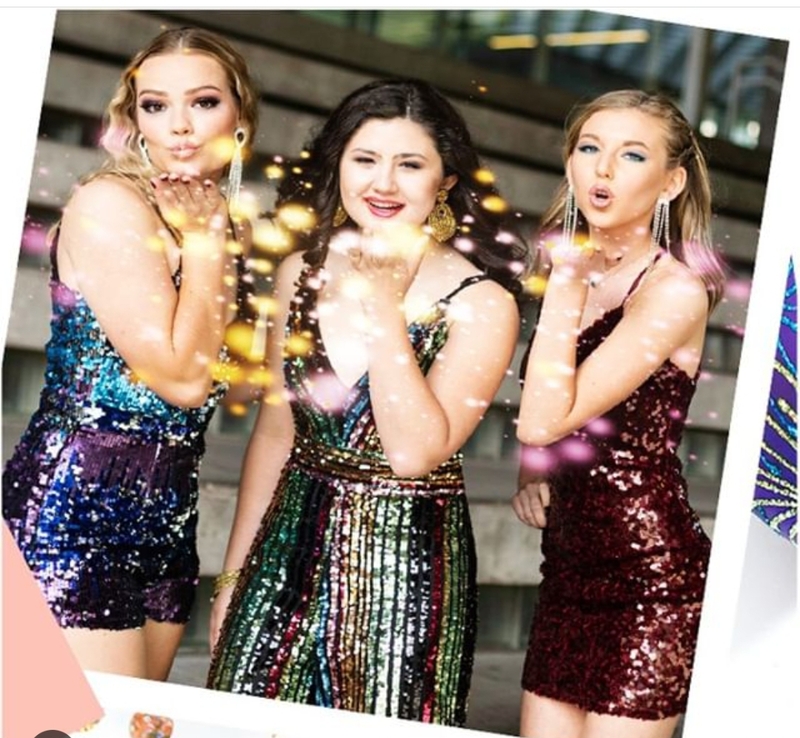 These girls were a blast to be around for this fun glitz, glam and sequins New Year’s Eve inspired shoot. I did makeup and hair on Gillian, the tall, beautiful blonde in blue with hair for days and eyes that are kind and welcoming. For Gillian’s makeup we did a fun smokey eye with false lashes and glitter. I kept the cheek neutral to balance out the heavy eye. For the lips we did a pretty pink layered with glitter and gloss. For Gillian’s hair I used a waving tool which left her hair fun and stylish. Noa was so fun to do hair and makeup on. She was put together, stylish and stunning! I kept the makeup soft yet smokey and focused on making her eyes pop. I think we achieved the look she wanted. This was the second time I did makeup for Meagan. The first was when she was a bridesmaid in her friend Megan’s wedding months before. 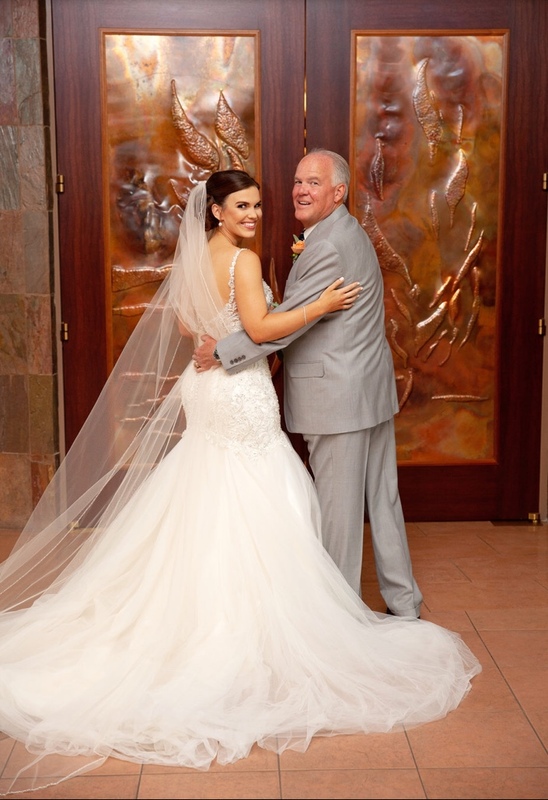 I loved that Meagan loved her makeup so much that she asked me to be a part of her big day. When we did her trial, we kept it clean and natural. On the wedding day I added a darker crease and more shimmer on the eye lid. We made the lashes a bit more bold too! I met Grace when I was an account executive traveling to beauty stores in Phoenix. She was always so kind and helpful, and wanted to know more about product tips and tricks. When Grace asked me to do her makeup for her wedding, I was so excited to do makeup! Grace’s wedding day was relaxed and even the rain didn’t bring anyone down. A rainbow shown bright right before she walked down the aisle! A sign from her grandmother above that she was being thought about on her big day. The Elegant Barn was a beautiful venue for the happy couple to celebrate their love! This was the first shoot I worked on with Sandi Shipley Photography and the hip boutique Kute N Klever. What a fun experience! The girls were natural beauties and looked dressed for perfection in their outfits. The fall colors popped with the background of the Arizona Center. I did makeup on Katie and Laura. I kept Katie’s makeup classic and pretty with her rust colored dress and shoes. Her complexion and hair color complimented the colors in her outfit. On Laura, I also kept a clean look with a little deeper lip. The leopard print skirt let us play with a pop of color on the lip. I was introduced to Aglaee through a mutual friend over a year ago. I truly believe the universe brings you exactly who and what you need. And although I did not think I was looking for a deep program, but more so to gather additional tools to learn about health and nutrition, I quickly realized that this was going to be much more than I planned on- in the most amazing way! The three moon (month) program, Nourish Your Roots, was life changing! The most perfect name for the journey sure to unfold. Finding your ROOTS and trusting to your core that it is safe to GROW, and you are able to share the experience with other like-minded women. Aglaee creates the space for women to come together and lift each other up. The path is set for you and you decide how you want to walk on it. 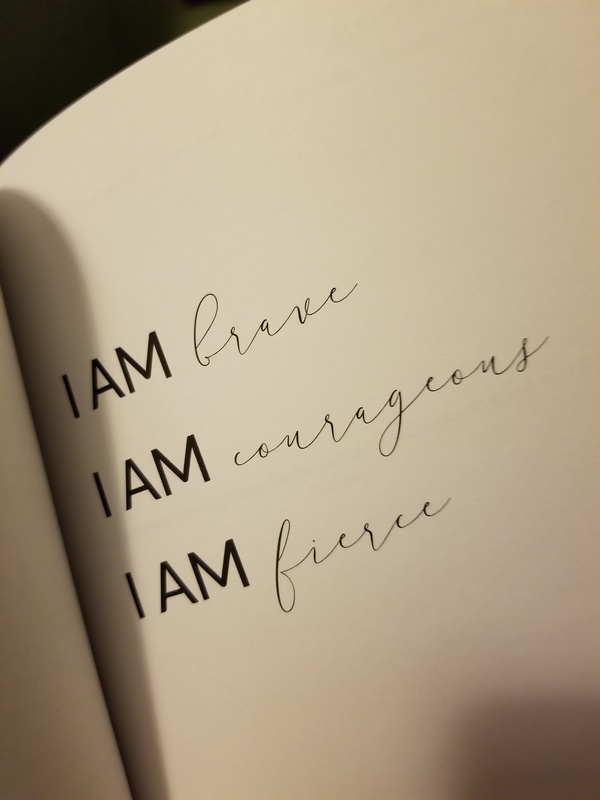 The process of uncovering more about yourself through a guided, weekly meeting circle makes you feel you are supported to be yourself- ALL OF YOU. Some weeks as baby steps and other weeks with giant leaps. The program offers guided “homework” video lessons to enhance the weekly meetings. Each layer of yourself is pulled aside to show the TRUE YOU beneath. Changing old thoughts and patterns to emerge a new version of yourself. Included with the program is an energy reading, and that alone is powerful for healing! This energy chakra drawing and reading sheds another layer to reveal your true self. I had my first energy drawing done prior to beginning the Nourish Your Roots program. This was during a time where I felt lost, overwhelmed with the sadness of losing my Mom and depressed. Without Aglaee knowing any of the events that had taken place, she gave me a reading that was spot on! I, being a firm believer of energies and how we show up in the world, was shocked at how accurate it still was. My chakras told a strong story. My second reading during the course of the program showed how far I had come and how different my energies were. I was emerging and pulling myself out of the depths. It was so interesting to see the changes. I was so grateful for Aglaee’s messages and support. You are allowed to go as deep as you want with the program and if you don’t feel like doing the work one week, you don’t have to. The choice is yours. I LOVE that you receive all of the information, worksheets and video classes and can revisit them over again whether it’s a month after the program ends or years later when you are ready to uncover your deep soul’s purpose and desires. I personally realized so much about myself that although I was aware of what was holding me back, they really made themselves known on a deep level. I was able to process and understand why I am who I am right now. And ACCEPT that where I am is an ok place to be. AWARENESS is the key to growth and change. Whether it is good or bad, awareness brings to light what you need to realize. Being aware allows you to make changes or keep you grounded in your convictions. Take the time to open yourself up to your truth. Trust the process. Invest in the Nourish Your Roots program. A new sessions begins in September! I’ve been digging deeper into WHO I AM for years now. The process is never easy and involves WORK, COMMITMENT and DEDICATION. And I will be the first to admit I do not always take the time I should to do the work. But that is part of the process. Being ok with doing what you can do right now. Changing the self-talk and mindset for the positive. Small things that are really big things in the long run. Be patient with yourself on the JOURNEY. Beginning a couple of years ago, I attended one of Marian Mellen’s workshops. I felt drawn to the atmosphere. Casual setting, group of women, all in a place to expand their thinking and dive deeper into their souls. All of this facilitated by Marian, a heart-soul driven to help women find their TRUTH. These workshops provided a safe place for open dialogue, encouragement and raw emotion. Marian gives you the initial thought prompts to dig into the area of your soul that you have pushed aside or forgotten about. Continuing to process and uncover my true SOUL, I invested in Marian’s one-on-one coaching program. I LOVED and appreciated her insight and encouragement! She kept things real and positive. It helped me focus and see things in a different light. It was exactly what I needed, and highly recommend signing up to have a coaching session with Marian. You will feel yourself open up in a way that you did not know needed the space to be TRUE and REAL. Marian also offers a work book which encompasses all of the workshops she offers. The step-by-step guided path digs deeper with each page turned. The inspiration is palpable and you feel encouraged and loved from cover to cover. Take the time to invest in yourself-small steps that will lead to deep changes. Soak up the good. Find what your SOUL desires. Marian offers a list of her events as well as a link to her work book on her SITE.